I have been in the financial field since 1983. I have worked as a controller and vice president of finance for several technology firms in Silicon Valley for over 18 years. My financial background and experience means that I bring a unique perspective to the real estate industry. I offer real estate services for selling and buying properties � whether it is a residential or a commercial property in Santa Clara, San Mateo, Contra Costa and Alameda Counties. My offerings include houses or apartments for sale, from luxury to affordable homes. As a real estate agent I assist my clients in all aspects of the real estate business. I provide you with all the services you may need whether you are buying a house or apartment, selling a house or a condominium, or even leasing an office building. I am customer-oriented rather than transaction-oriented. I believe that my clients receive greater benefit as I manage their overall needs as opposed to just making a one-time transaction happen for them. When there are questions or issues for which I don't have a direct answer, I will direct you to the best experts in the field as I continue to assist you in the process. So it is time to start acting! Buyers - click here, Sellers - click here. To return to the previous page - click here. The CRB designation (Certified Real Estate Brokerage Manager) is one of the most respected and relevant designations offered in real estate business management. 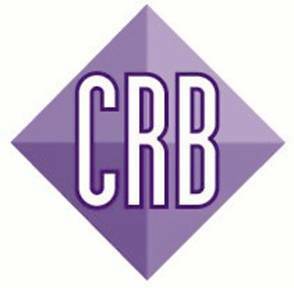 The CRB community spans more than 7,000 members worldwide. Through the Council�s leading-edge education and resources, members are among the most efficient, effective and profitable managers in the country. Not just anyone can display the CRB designation after his or her name. It is reserved for only the most dedicated conscientious and highly skilled managers. Dedication to recruiting and training their associates to handle real estate transactions with professionalism and the most up-to-date information, techniques and tools. Skill in designing effective marketing programs to promote and sell property for the highest price and in the shortest period of time. Management know-how assisting sales associates in helping to quickly find a property matching the needs and wants of the customer. Experience and understanding of market, housing and economic trends that will be used to positively influence transactions. Expertise in maintaining an organized, smooth-running organization which ensures that transactions receive prompt and thorough attention. A REOTrans Gold Certified Agent! Today, Lenders are looking for new relationships with qualified and professional REO agents. That�s why Lenders rely on REOTrans agents who demonstrate their ongoing professionalism and commitment through the Agent Certification Program. This means the thousands of asset managers who use the RT Marketplace� every day can rest assured a Certified Agent is available to help them out. The Certified Residential Specialist (CRS) Designation is the professional Designation offered by the Council of Residential Specialists. The CRS Designation is the highest professional designation awarded to REALTORS� in the residential sales field. Since 1977 the Council of Residential Specialists has been conferring the CRS Designation on agents who meet its stringent requirements. Currently, fewer than 5 percent of all REALTORS� hold the CRS Designation. The Graduate REALTOR� Institute (GRI) symbol is the mark of a real estate professional who has made a commitment to providing a superior level of professional services by earning the GRI designation. REALTORS� with the GRI designation are highly trained in many areas of real estate to better serve and protect their clients. The Graduate REALTOR� Institute (GRI) designation indicates to buyers, sellers and other real estate industry professionals that you have made the commitment to provide a high level of professional service to your clients by securing a strong educational foundation. Seniors Real Estate Specialist (SRES�) Baby boomers are quickly growing into the largest population of seniors we've seen in US history. They're retiring later than ever, and many are buying secondary homes in record numbers. REALTORS� receive the Seniors Real Estate Specialist (SRES�) designation after successfully completing a 12-hour training course entitled A Licensee's Guide to Working with Seniors (beside 12 hours training you also have to show prove of production of min 3 transaction with Sr. people). It is designed for REALTOR who could help and work more effectively with senior buyers and sellers. According to the data in the 2005 National Association of REALTORS� Profile, fewer than 3 percent of all REALTORS� have earned and hold the CRB, CRS, GRI, and SRES Designation.